Congrats to all that fished the Lion and Cub tournament that benefited the Camden High School Football Team. 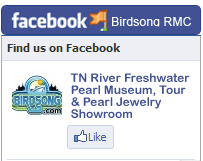 Birdsong is a proud sponsor for 11 years now. Had a great day with my buddy even though we came up a little short. 1st Annual Red Shield Open Bass Tournament will be held at Birdsong Resort, Marina and Lakeside RV and Tent Campground on May 27, 2017. The first place pays $ 1,000 cash. The tournament will support the Salvation Army. Visit them at: 1st Annual Red Shield Bass Tournament. Click on the U TUBE for a TV Interview with Brad Smith of the Madison County Bass Anglers. We will also have a raffle with shotguns, 100 dollar gift cards from Bass Pro and much much more. MORE INFO CALL: 731.584.1996 or 615.351.2628 and ask for Bob or Judy. The Tennessee Bass Nation High School/Youth is a grass-roots organization of anglers dedicated to the sport of bass fishing. They are proud to be affiliated with B.A.S.S. Nation, where their members are the future of bass fishing. TBN promotes catch-and-release and encourages community involvement. Our youth and High School strive to promote good sportsmanship and promotion of the sport both on and off of the water. Today’s youth are the future of the sport. 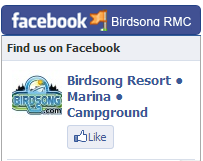 We are so glad you visited Birdsong Resort & Marina. Birdsong Resort, Marina and Lakeside RV and Tent Campgrounds OFFICIAL TOURNAMENT OOZE OFF AREA. Equipped with the following: American and Tennessee Flags, Covered Gazebo, Overhead Lights, Picnic Table, Electrical Outlets, PA System, Mounted Speaker, I Pod with the recorded National Anthem, 30 foot marina end with bumpers allowing fishermen to idle by and get their live well’s checked. Also and MOST IMPORTANT, A serene painting of GOD’s architecture in Birdsong’ Creek Embayment located off Interstate 40 at the Birdsong Exit 133 then 9 miles north in Camden Benton County, west Tennessee…..and by all means take a kid fishing. By the way, Birdsong’s IMPROVED RAMP is 70 feet wide and 70 feet long with truck and trailer parking for 200 vehicles in an all paved lot, ethanol free 90 proof fuel, Quicksilver oil, coffee and sandwiches at the marina, ice, tackle shop and special rates for tournament fishing in our cottages and other fully equipped rental units. CALL: 731.584.1996 or email: Bob@Birdsong.com. YA’LL FISH, You Hear!!! !